Corneal thickness is one of the main factors that your surgeon takes into consideration when determining if you are a good LASIK candidate. To understand why corneal thickness is important in LASIK eye surgery, let’s answer the most common questions about the relationship between LASIK and corneal thickness. 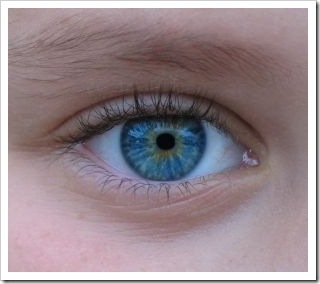 What is the Normal Corneal Thickness? The thickness of the cornea normally varies between people with an average of about 550 microns (that’s about 1/2 millimeter) in Caucasians. It is less in Blacks (520 microns) and even less in Asians. How Corneal Thickness is measured? Corneal thickness is measured with a device known as a pachymeter. The most common method of pachymetry is ultrasound, but certain corneal imaging systems such as Orbscan and Pentacam can also be used. The latter systems can provide a map representing the relative thickness of your cornea at various locations. What is the Ideal Corneal Thickness for LASIK? There is no ideal corneal thickness for LASIK. However, you should know that to improve your vision by LASIK surgery, you should have an adequate amount of corneal thickness. This amount depends on the degree of your refractive error. Why Corneal Thickness is measured before LASIK Surgery? It is important to determine your corneal thickness before your LASIK procedure because LASIK improves your vision by reshaping your cornea and it reshapes it by removing some tissue from your cornea. If the cornea is made too thin, vision may fluctuate and be of poor quality. What is the Ablation Depth? Ablation depth is the amount of tissue removed by the excimer laser from the middle layer of the cornea called the stroma. 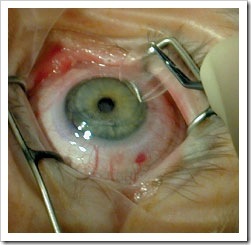 If you are shortsighted, the removal is in the center of your cornea. If you are farsighted, the removal is at the periphery of your cornea. How Ablation Depth is calculated? Ablation depth depends on the amount of treatment required, which in turn depends on the degree of your refractive error. Pupil size and parameters of the chosen excimer laser are other factors that affect the Ablation Depth. In general, we can assume that with a pupil size of 6.0 mm, the excimer laser removes 12 microns of tissue for each diopter of LASIK treatment. For example, if you have 4 diopters of shortsightedness, the ablation depth required to correct you vision would be 4 x 12 = 48 microns. What is the Residual Stromal Bed? Your LASIK surgeon will ensure that after creating the flap and applying the excimer laser, there is a minimum amount of corneal tissue remains untouched by the LASIK procedure. This critical amount is called the Residual Stromal bed and it is important to preserve the strength and integrity of your cornea after the LASIK procedure and avoid serious LASIK complications such as corneal ectasia. How thick the Residual Stromal bed should be? When the U.S. Food and Drug Administration (FDA) approved LASIK, it recommended that a minimum of 250 microns of residual stromal thickness should be left under the flap after LASIK surgery to avoid corneal ectasia. Currently, most LASIK surgeons prefer to leave 275-300 microns of residual stromal bed for more safety and also to allow for LASIK enhancement (retreatment), should this be necessary. How Residual Stromal Bed Thickness is calculated? Residual Stromal thickness is calculated by taking the central corneal thickness before LASIK and subtracting the flap thickness and the calculated ablation depth for the particular refraction. For example, if your central corneal thickness is 550 microns, the flap thickness is estimated to be 160 microns, and the ablation depth for your refraction is 60 microns, the residual stromal bed thickness would be 550 – (160 + 60) = 330 microns. Can I Have LASIK if I have a high prescription and thin cornea? If you have a thin cornea and a high degree of refractive error to be corrected, it may not be possible to leave the minimum 250 microns of residual stromal bed under the flap. Sometimes, your surgeon can overcome this problem by creating a thinner flap, which allows more treatment to be performed while maintaining a corneal bed of at least 250 microns. Thinner LASIK flaps can be created either by the femtosecond laser flap maker during IntraLASIK or some types of microkeratomes during conventional LASIK. If it is not possible to create a thinner flap, then other LASIK alternatives such as PRK, LASEK or Epi-LASIK might be a better option for you.